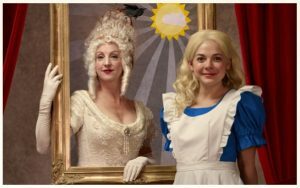 Director Jillian Keiley’s production of Lewis Carroll’s Alice Through the Looking Glass, adapted for the stage by James Reaney, opens December 9 to January 3 at the National Arts Centre in Ottawa. Jillian Keiley is the National Arts Centre’s English Theatre Artistic Director, and she led a successful production of Alice Through the Looking Glass at the Stratford Festival earlier this summer. Lois Anderson as the White Queen and Natasha Greenblatt as Alice in Alice Through the Looking Glass, National Arts Centre, Ottawa, December 9, 2014 to January 3, 2015. Photo by David Krovblit. Order tickets online here or call the National Arts Centre box office at 613-947-7000 x620 (1-866-850-ARTS x620). The National Arts Centre is located at 53 Elgin Street in Ottawa. ◊ Meet some of the cast of Alice Through the Looking Glass: Introducing the National Arts Centre’s 2014-15 Ensemble. ◊ Come and hear Jillian Keiley at “Points of View: Alice Through the Looking Glass” on December 13 (12:45 pm) in Ottawa. ◊ Enjoy more Lewis Carroll at the National Arts Centre with the National Ballet’s Alice in Wonderland, April 9-12, 2015. ◊ For a closer look at the text, James Reaney’s adaptation of Lewis Carroll’s Alice Through the Looking-Glass is available from the Porcupine’s Quill. 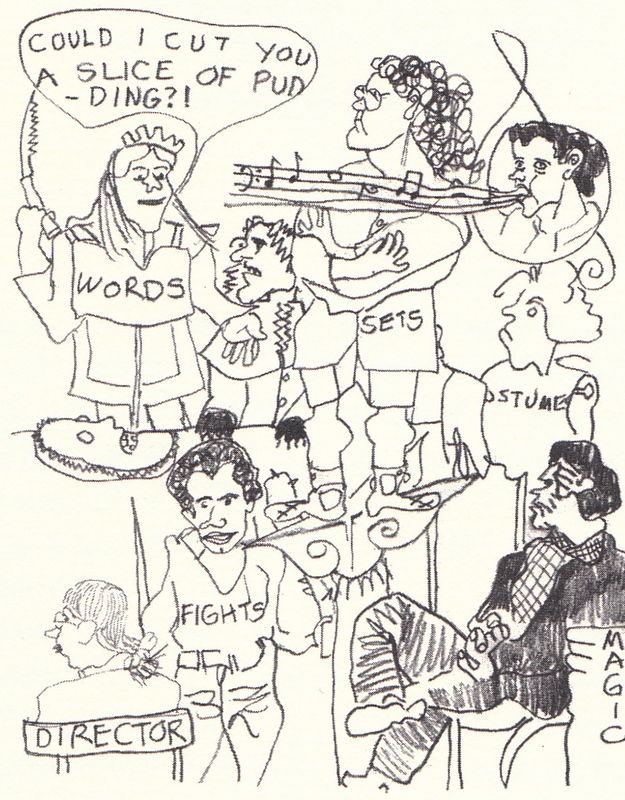 Page 15: Alice rehearsal drawing by James Reaney, 1993. 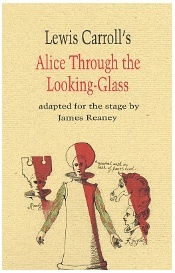 I am possibly interested in producing Alice Through the Looking Glass adapted by James Reaney with my high school. How do I go about obtaining rights?